Palace attributes drop in hunger incidence to ‘workaholic and compassionate’ president 0 SHARES Share it! Share TweetBy Genalyn KabilingBEIJING – Much more will be accomplished with a “workaholic and compassionate” President Duterte, Malacañang said in welcoming the reported drop in hunger incidence in the country. Presidential Spokesman Salvador Panelo has attributed the survey results on hunger incidence to the President’s efforts in addressing soaring prices and efficiently delivering basic services. This is the second consecutive quarter where there has been a decrease in the national hunger incidence,” he said. Hunger incidence in Metro Manila also decreased to 11.7 percent last month, from 18.3 percent last December 2018. MANILA, Philippines — Budget carrier Cebu Pacific on Thursday said all online channels of its rewards program GetGo have been temporarily disabled as it investigates a breach that hit the platform’s server. In an advisory, Cebu Pacific said there was an unauthorized access to a GetGo application server Wednesday night. It added that it has informed the National Privacy Commission about the breach. “As a precaution, we have temporarily disabled log-in using GetGo credentials to the cebupacificair.com website and mobile app, both of which remain secure,” it added. The agency added that it was informed by Cebu Pacific that the “extent and nature” of the breach is still being determined. 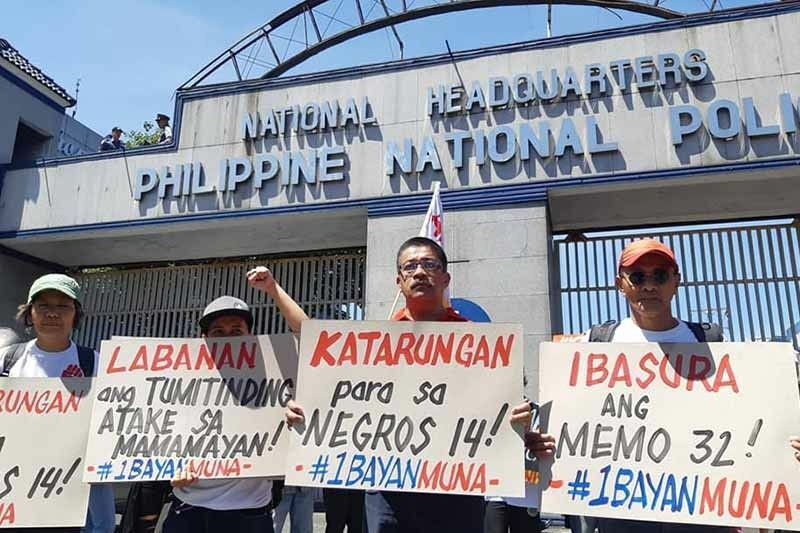 Namfrel gets ‘partial’ Comelec accreditation for May pollsBy The Manila TimesTHE Commission on Elections (Comelec) “partially” accredited watchdog National Movement for Free Elections (Namfrel) as its citizen arm in the polls in May. “If we don’t get the accreditation for the Open Election Data project, we have to outsource data from other organizations. That would be difficult for us,” said Namfrel National Chairman Augusto Lagman, a former Comelec commissioner. The Open Election Data is a website on candidates’ profiles, tabulation of election returns, list of voters, transparency and media servers, among other information. “We have no clue why the accreditation [for the Open Election Data project] was delayed,” Averia said, citing Comelec’s Minute Resolution dated March 29. Kim rebounded from a bogey on No. The Del Monte ace hit three birdies inside 15 feet against a lone bogey, missing eagle chances on the two par-5s. He hit a solid 3-iron second shot from 195 yards on No. 8 but misread a 10-footer then hacked a 3-wood second shot from 280 yards to within 15 feet on No. 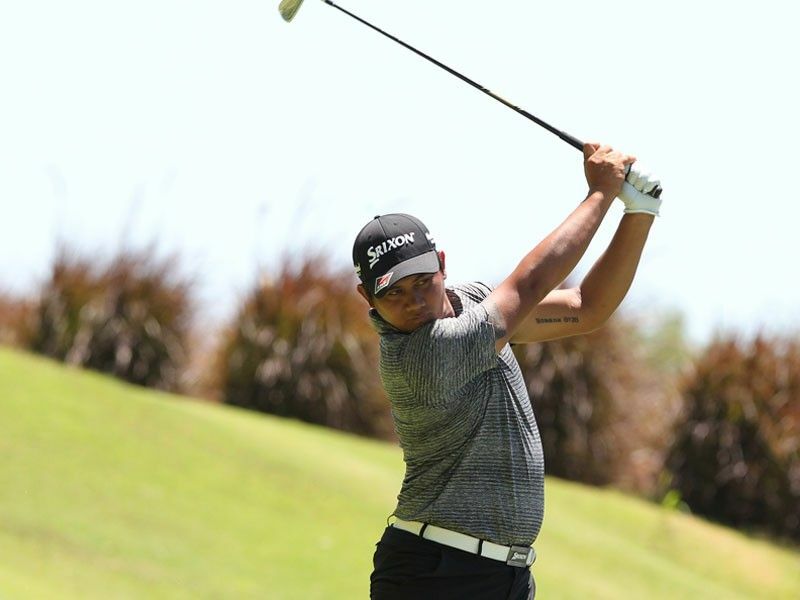 “The course is difficult and the hot weather adds up to the challenge. On Tuesday, MMDA K-9 corps posted on its Facebook account that they were deployed to help in rescue operations. And the best rescue doggos were given a tribute they deserve for their hard work in helping their hoomans who are conducting rescue operations in the collapsed 4-story supermarket in Porac town. The page also booped MMDA Search and Rescue Unit members K-9 Ringo, K-9 Cody, K-9 Chia, K-9 Dumbo, K-9 Chaplin and K-9 Lucy who were not in the photo. K-9 from the Philippine Coast Guard were also deployed to help out in the rescue operations in Porac, Pampanga. 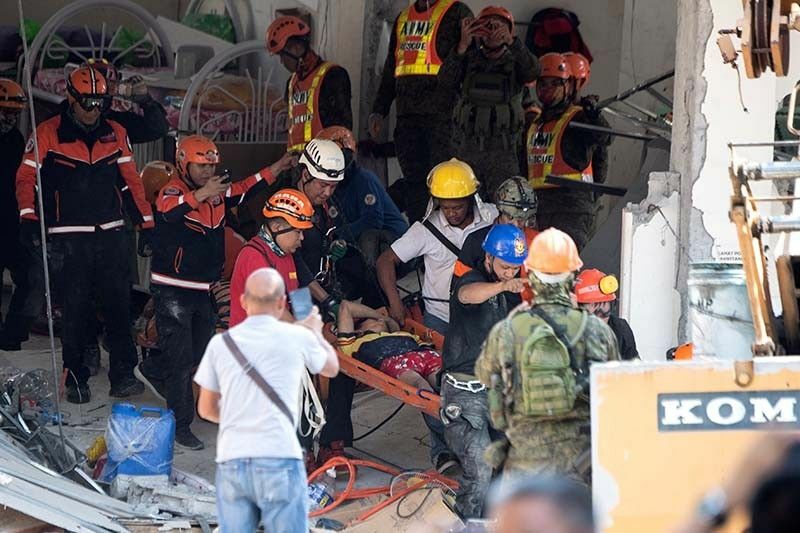 READ: WATCH: Rescue K-9 finds survivor, victim in quake rubbleThe latest report from the National Disaster Risk and Reduction Management Council said that death toll due to the quake reached 16 while 14 remain missing. Cop arrested for extorting money from habal-habal drivers 0 SHARES Share it! Share TweetBy Aaron RecuencoAnti-scalawag operatives of the Philippine National Police (PNP) have arrested Monday morning a police sergeant for allegedly demanding weekly grease money from a group of habal-habal drivers in Pasay City. Caramat said the operation stemmed from a complaint of habal-habal driver whom Macaspac allegedly threatened after failing to remit the P2,000 grease money for last week. “The arrested suspect also threatened him by pointing a gun on his head when he failed to remit the weekly ‘grease’ money last week to the arrested suspect,” said Caramat. The entrapment was mapped out after Macaspac allegedly still insisted on getting the remaining amount to complete the P2,000 weekly grease money. CITY OF MALOLOS — Businessman Liberato “Levy” Laus, the chairman and founder of the LausGroup of Companies, was killed when the private helicopter carrying him and other people crashed into a fishpond area here on Thursday, police said. Laus, 68, was also chair emeritus of the Pampanga Chamber of Commerce and Industry. His LausGroup of Companies is a diversified conglomerate of automotive dealership. Under his leadership, the Pampanga Chamber of Commerce promoted countryside development, believing this was one of the best ways to spread even development. Police Col. Chito Bersaluna, Bulacan police director, said it was not immediately known where the helicopter came from and where it was headed. MANILA, Philippines — Much like how Thanos snapped his fingers to wipe out half of the population of the entire universe in an instant, the much-awaited release of Marvel Studios’ “Avengers: Endgame” obliterated Philippine box-office records on its opening day. Bringing a decade’s worth of action and storytelling to an epic conclusion, “Avengers: Endgame” smashed local opening day box-office records as it reportedly opened with P205,676,345 (US$ 3,880,685) in 970 screens, with select cinemas starting at 6:01a.m. and some holding 24-hour screenings. The fourth film in the Avengers franchise and the 22nd film in the grand Marvel Cinematic Universe (MCU), “Avengers: Endgame” broke the opening day record of 2018’s “Avengers: Infinity War,” making it the biggest opening of a Marvel film in Philippine cinemas to date. 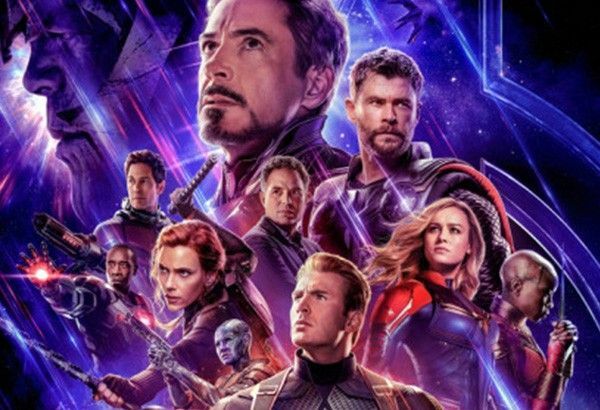 Weeks prior to the opening day, local malls have already started selling tickets for “Avengers: Endgame” and Filipino Marvel fans showed their love and support for the Infinity saga movie as opening day tickets were almost immediately sold-out. 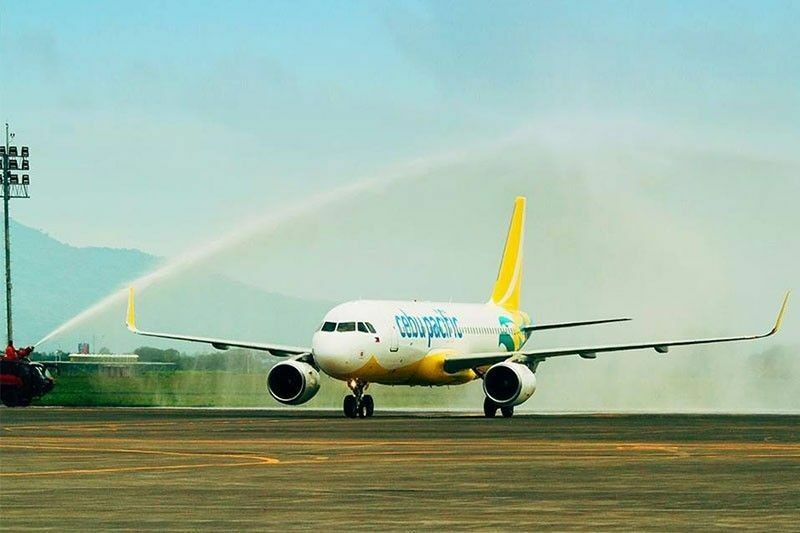 MANILA, Philippines — Cebu Pacific on Thursday said it has secured its GetGo application server following the “unauthorized access” that was reported on Wednesday night. ADVERTISEMENT“Cebu Pacific confirms that there was an unauthorized access to a GetGo application server last night. This server has been secured,” Cebu Pacific said in a statement. Following the incident, all GetGo online channels have also been temporarily disabled while the airline probes the server breach. “As a precaution, we have temporarily disabled log-in using GetGo credentials to the cebupacificair.com website and mobile app, both of which remain secure,” Cebu Pacific said. PH receives donation of new machines from World Customs group 0 SHARES Share it! Share TweetBy Betheena UniteDetection of shipments containing illegal drugs and other contraband entering the Philippines is expected to be further improved with the addition of two donated equipment from the World Customs Organization. One unit of x-ray fluorescence (XRF) analyzer and one unit Raman spectrometer were recently handed over by the World Customs Organization- Asia Pacific Security Project to the Bureau of Customs. “The donated devices will definitely be a big boost to the bureau’s strengthened campaign against smuggling, especially on illegal drugs and other contraband goods,” Guerrero stressed. Recently, a more blatant way of smuggling illegal drugs was intercepted by the bureau, where illegal drugs were packed in tea bags. MANILA, Philippines — Fourteen organizations—led by the progressive Bayan Muna—could secure at least one party-list seat available in the House of Representative in the May midterm elections, a new Pulse Asia survey suggested. According to a poll conducted from March 23-27, 14 of the 134 accredited party-list groups managed to get more than 2% voter preference. Each could get one seat in the lower house in the first round of seat allocation if the elections were held during the survey period. Bayan Muna, which has criticized several policies and statements of President Rodrigo Duterte, topped the list with a voter preference rating of 8.5%. Magkakasama sa Sakahan, Kaunlaran (Magsasaka) placed second with a voter preference rating of 6.45%. MANILA, Philippines — A government official has cited as “extraordinary occurrence” recent power outages in parts of Luzon, as energy executives faced a Senate hearing Thursday to explain the sudden power supply interruption in the region. Department of Energy (DOE) Undersecretary Jesus Posadas told lawmakers that based on figures from generation companies and distribution utilities, power supply should have been sufficient to prevent Luzon power outages on April 11 and 12. ADVERTISEMENTHowever, the “simultaneous unplanned outages of several power plants,” which could not have been forecasted, resulted to the loss of available power capacity, he said. “Regrettably, what could not have been forecasted were the simultaneous unplanned outages of several power plants,” he added. He also said DOE could not comment, make assumptions or speculate on the causes of the power outages since it is still under investigation.